Children fiction is important even for adults to learn some of the best lessons of life in a real simple way. If i say that I did not enjoy this book as an adult, i would be lying a bit. I of course had in mind that this would be read by or read to the kids but even then, I did learn a lesson myself on how to tackle problems of others and mostly on the art of communication. 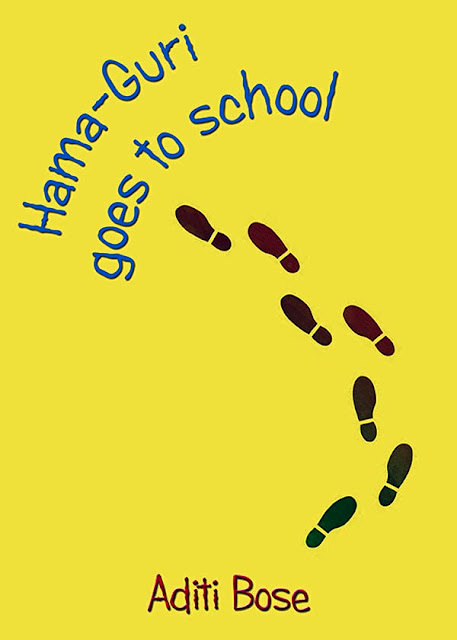 Hama is a six year old kid who goes to school with his best friend Ma-Door. He lives in a samll town with his parents and has a lovely garden in the house where he spends time with his mother or friends. Hama's mother is an intelligent lady who is understanding and very wise. It is through the conversations of these two and the friends that Aditi has penned some wonderful stories each aiming to teach, not preach the reader. The stories have an eady approach to some of the common issues of growing up. Simple language and great visuals make sure that the kids will like and enjoy reading the book. I absolutely envy the kids for such amazing fiction available to them. Loved this one.